Imagine your perfect bed. Go on, I’ll wait. I don’t know about you, but mine is stacked high with perfect, plush pillows. Your pillow can make or break your sleep. We’ve all had that night in a hotel when we’ve sunk straight through the pillow, as if it wasn’t there at all. It’s so dissatisfying! This guide will ensure you never have to deal with that feeling again. I’ve collected everything you could ever want to know about pillows: what type you should get, what type of pillow will solve your particular sleep problems, even how to look after your pillows. 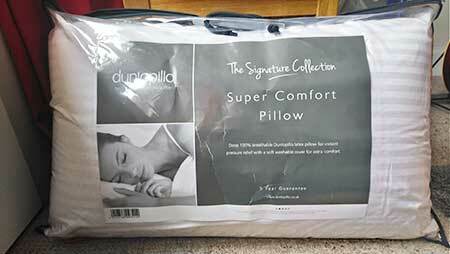 As well as answering your every need, I’ve also reviewed the 7 best pillows along with links to where you can get them online. I’ve got a quick rundown of a few from the list below. So, get comfortable and let’s make your perfect bed! What Type of Pillow Can I Buy? There’s a huge variety in pillows that you can buy, which can seem a bit overwhelming. The six main ones are: memory foam, synthetic, down, feather, latex and buckwheat. Fun fact: memory foam was created by NASA in the 1960s. It was originally for aircraft seats but has turned out to be a brilliant material for pillows. When it’s exposed to heat, memory foam becomes soft, which is what makes it mould perfectly to your body. These kinds of pillows cradle your head as you sleep, which will give you maximum support. If you find that you suffer from neck or shoulder pain, then this is probably the pillow for you. Memory foam has been developed a great deal, so instead of holding you in one position all night long, it’s a lot more responsive to your movement. Memory foam pillows are ideal for back and side sleepers and they’re my personal favourite. Check out my article on them here. 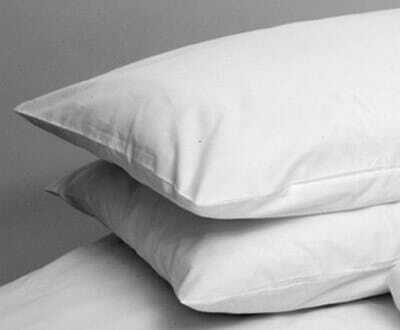 This is the most common type of pillow. These pillows are great if you’re on a budget but they aren’t all that durable. They’ll last between six months and two years – depending on how much you spend – before they become flat or lumpy. 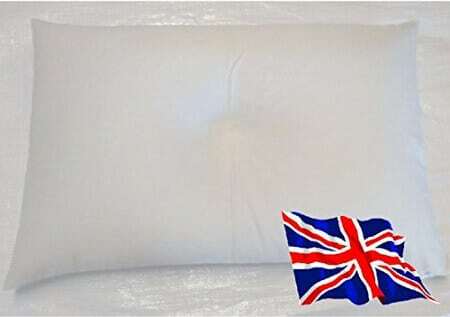 The filling of synthetic pillows tend to be either hollow fibre or microfibre: these are both polyester but microfibre is usually more comfortable. Hollow fibre is the cheaper of the two and holds heat extremely well. This is great in the winter time but can be uncomfortable in summer! I’d recommend a different synthetic filling – cluster fibre. These pillows are made of lots of tiny balls of soft material, which makes these super soft and comfortable. Down is much softer than feather providing a fluffy filling that often don’t give enough support but makes for a fluffy pillow. Normally an addon to feather pillows to make them fluffier and more snuggly. Just make sure they are ethically sourced down feathers. I’m not a huge fan of feather pillows as they don’t offer a lot of support. 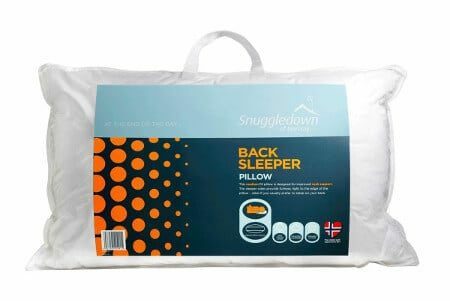 They work well for front sleepers as you don’t need a lot of lift but I’m a broad-shouldered side sleeper so need a nice thick pillow to support me. Again if you’re interested in a feather pillow please make sure there is some sort of statement from the brad saying they use ethically sourced feathers. I also have a lot of memories of being stabbed in the face by feathers sticking out of the cover which I’m sure doesn’t help anything! These pillows are similar to memory foam, they feel quite spongy. However, they tend to be a bit more springy and firm. 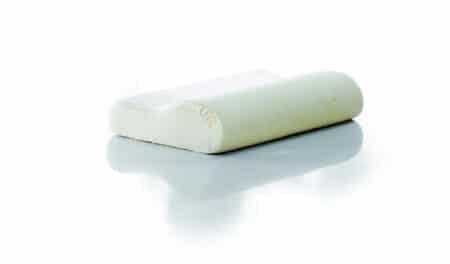 Latex comes from the sap of rubber trees, so it’s a good natural alternative to memory foam if that’s what you’re interested in. However, be aware that cheaper latex pillows tend to be mixed with chemicals since it keeps costs down. Always check it’s 100% latex! You probably haven’t heard of buckwheat pillows but they’ve become hugely popular in Asia. 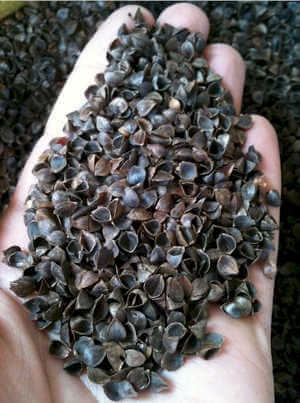 Buckwheat is a type of fruit and the husks are used in the pillows. Don’t worry, they’re thoroughly washed! These tiny husks naturally mould round your head and neck, making them ideal if you suffer from neck pain, much like memory foam pillows. They feel a lot like the neck pillows you can get at the airport which are filled with microbeads. The downside is that these pillows are quite noisy as you move around on them. Like memory foam, new buckwheat pillows also tend to have a strange smell but this will fade if you air them out. What Should I Look for When I’m Comparing Pillows? There are three categories of firmness: soft, medium and firm. Soft pillows don’t provide much support, but can be very comfortable. I’d stay away from these if you suffer from any neck stiffness or pain, since you need something a bit more substantial. In my own experience, soft pillows make my head droop as I sleep on my side and I usually wake up with a sore neck. Medium pillows are great, since you get the best of everything. 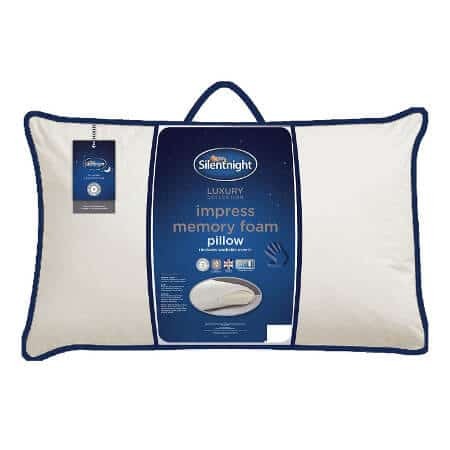 You get the comfort of a soft pillow and the support of a firmer pillow all in one. These are great for just about everyone. I appreciate that this won’t be a big concern for everyone but if you’re an asthma sufferer like me, this is something you need to pay attention to. Whether it’s asthma or allergies, hypoallergenic pillows are the way forward. Non-hypoallergenic pillows tend to carry a lot of dust – way more than you think – and in my own experience I’m wheezing and coughing all night. Hypoallergenic pillows don’t gather dust, so are generally cleaner and healthier. 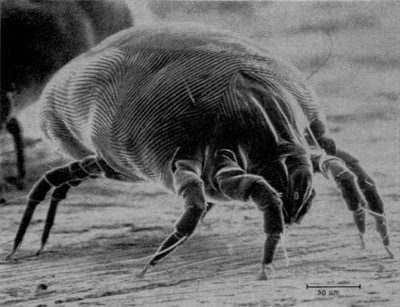 Plus, they’re dust mite resistant. And that’s good for everyone! 3. What Type of Sleeper is it For? This is one of the most important things to consider before you buy a pillow but it’s something that not many people know much about. You can be a front sleeper, side sleeper, back sleeper, or a mixture of them all. Think about the position you usually wake up in. On your face? Lying on one side? This will give you a big clue about what type of sleeper you are. Lots of pillows are designed specifically for the position you sleep in, so take some time and get the perfect one for you. Now that you know what to look for and what you need from your perfect pillow, here are reviews of the 7 best on the market. With each one you’ll find a short review, and where you can buy it online. Feel free to leave any questions you might have in the comment box at the bottom of this post, since I get a lot about picking the right pillow and would love to help you out. One thing to bear in mind is that a cheap pillow is never a good pillow: paying less than £10 is never going to give you a good night’s sleep and you’re worth more than that. Give the neck pain and headaches a miss and go for the perfect pillow for you! This is my absolute favourite pillow out of the bunch. The Panda pillow. 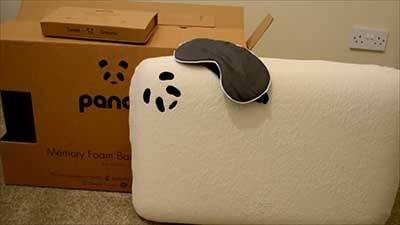 Panda have completely changed the pillow game, designing a memory foam masterpiece that will last 10 years! The average pillow will last a maximum of two, which makes this pillow pretty amazing. The cover on this pillow is made from bamboo. This means it’s soft. Breathable. Temperature-controlled. Able to wick away moisture. Bamboo is also one of the most sustainable materials on the planet. Did I mention how much I love this pillow? It’s about 12cm tall, which means it’s ideal for people who sleep on their back or their side, but it might be a little too high for front-sleepers. This pillow is fairly firm but extremely comfortable, especially since the memory foam cradles your head while you sleep. The final amazing thing about this pillow is that Panda donate a portion of their profits to WWF, to help them maintain wild panda habitats. All in all, this is the best pillow on the list. I would highly recommend it! Read the full panda pillow review here. Eve are the masters of memory foam and this plump pillow perfectly supports your shoulders, head and neck. It has the height that you need from a pillow if you sleep on your side and is also hypoallergenic. No more snuffy noses! When you order through the Eve website, you get a 30-day trial period to put this pillow through its paces and if you decide it isn’t for you, you get a full refund. However, the chances of you needing to return it are slim. It even comes with a three-year guarantee, so Eve are happy to put their money where their mouth is for this pillow. If you sleep on your back, you don’t want a pillow that’s too high, or you’re going to end up with neck pain. 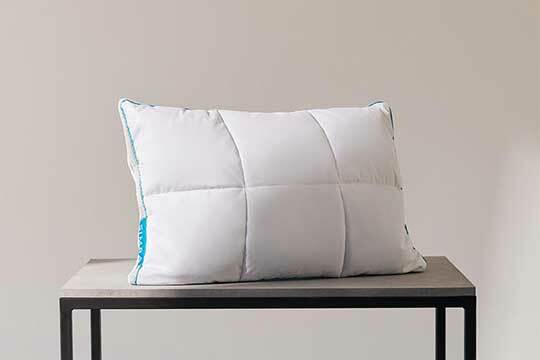 This pillow by Snuggledown is smaller than the others on this list, so is perfect for all you back-sleepers out there. The support that you get from this pillow is brilliant. It prevents tension building up in your neck which means you’re able to sleep deeper for longer. This pillow has also been designed so that it is completely filled right up to the edges, so it’s not going to sag or become lumpy. This is actually my second favourite, I’d say the best back sleep pillow has to be Panda Pillow above. 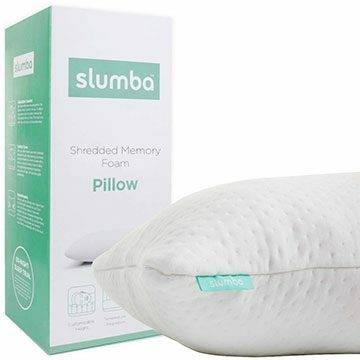 Slumba are an Australian brand of pillow who’ve made a fantastic adjustable height pillow. It comes fully stuffed so you’ll sleep very high but you can take out some of the filling to reduce the height and get it just right for front sleeping. This is especailly useful because you can fine tune and get the exact comfort and support you need. Aside from that you have the whopping great big 60-night trial so you have plenty of time to try it out, try it at different heights and really get used to your pillow. Then if you’re not sleeping happily you can contact them and get a full refund. Which is a pretty great system in my mind. Just right for those who sleep on their fronts or end up waking up on their fronts. Picking the best pillow to review that will help with neck pain was really important to me. I know how debilitating it can be to deal with neck, shoulder and back pain. If you’re getting neck pain when you wake up, it’s usually because the balance you get while you sleep is unbalanced. A pillow that fully supports your neck and head can help prevent it. With that out of the way, Dunlopillo have created a stellar pillow for dealing with neck pain. It’s made from latex, which means it’s really responsive to the way your head moves while you sleep, providing maximum support. Latex is slightly bouncier than memory foam, which will also help. This pillow comes with a removable machine-washable cover and a whopping five-year guarantee, so you know that this is going to last. It’s also 100% latex, so no hidden chemicals being used here. Defintely the best latex pillow you can buy, read more on my my article on neck pain pillows. The Simba outlast can be adjusted for height by adding or taking out the memory foam nano tubes inside it so you can get the exact feel you want. Plus it’s double sided, one side is a luxurious and cooling down with the memory foam underneath and the other is plump and cloud like microfibre for maximum snuggle. Now I’m not going to miss-lead you here, this pillow is not cheap, it’s double the price of the other premium pillows here but it is something special and the absolute height of luxury so I had to include it. Oh, and the middle of the pillow is ventilated making it a really great cooling pillow for if you suffer hot flushes through the night. This is the second memory foam pillow on the list and is a good all-rounder. I’ve said it a hundred times that memory foam is my favourite thing to sleep on and I’ll probably say it a hundred times more. Silentnight are a big name in the world of sleep and their products can be trusted. This pillow comes with a two-year guarantee, which puts it at the upper end of how long the average pillow will last. It also comes with a poly/cotton cover, which is lovely and soft but it can only be wiped clean. I’d recommend getting another pillowcase to keep your pillow fresh. Like all memory foam pillows, it’s also worth knowing that it will smell strange for the first 24 hours or so while you air it out. This is normal, though, so don’t panic! But again I think the best memory foam pillow has to be the Panda pillow with this as a close second. I know it seems a little strange to fill your pillow with buckwheat. Stay with me! The buckwheat husks in the Brow Farm pillow are triple washed in a rigorous cleaning process before being put in the pillow casing, so you know you’re getting a high quality product. This pillow also offers some of the best neck support available, since the buckwheat is comfortable but firm. Exactly what you want! There are a couple of downsides to this pillow though. The buckwheat husks can make a little bit of noise as you move around in the night and this pillow is definitely one of the heaviest on the list – about three kilos! However, this is still a fantastic pillow and I can see these getting only more and more popular. Why Should I Change my Pillow? Like anything, pillows get tired over time. They lose their firmness and eventually stop providing any support, which can cause neck pain and disturbed sleep. Hate it when you can’t get comfy in bed and just toss and turn? Then regularly change your pillows! Old pillows also become filled with dust, bacteria and even dust mites (which come from the same family as spiders…). I suffer from acne. Will changing my pillow help? Like I said before, old pillows just collect dirt and grime. If that’s what you’re resting your face and head on every night, then it’s going to have a negative impact on your skin and hair. Regularly changing them, along with other cleaning routines for both your skin and your pillows will help. First of all, if your pillow is a yellow colour – bin it immediately. Aside from that, I’d recommend every one or two years. A cheap pillow will only really last three to six months, so would need to be replaced sooner. For the feather pillows, fold it in half and squeeze the air out of it. If the pillow plumps itself back up and unfolds itself, then you don’t need to change it yet. If it stays folded, then you need a new one. For synthetic pillows, fold it in half and squeeze the air out of it. Put a medium-sized book on top of it and if it unfolds, then it’s still firm. If it stays folded, replace it. 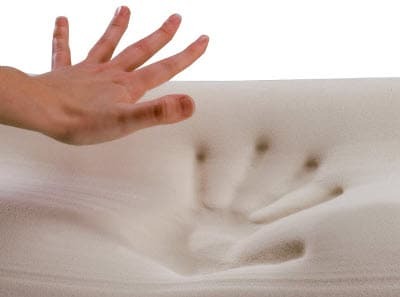 For memory foam pillows, put it on a firm surface and press down firmly with your hand. If it doesn’t spring back into shape in two minutes, then it’s lost its firmness and needs replaced. How Should I Clean my Pillow? This will depend on the type you’ve got and you should always follow the instructions on the label. Most synthetic pillows are machine washable, so just chuck it in the machine on a low-spin cycle and then either tumble dry it or hang it up outside. You could always consider taking it to a laundry place if you aren’t sure. Memory foam is a little tougher to clean but has the benefit of not collecting germs. Check out my other artcile about how to wash a pillow for more. How Many Pillows Should I Sleep On? This kind of depends on the position you sleep in. If you like memory foam, then one should be enough, regardless of the way you sleep. If you have broad shoulders then you might need more than one, to give you the height you need. Generally, you want enough pillows that your head lies flat while you sleep and not at an angle, so test out a few combinations and see what works. I’ve got a seperate article with more on that here. I don’t know what pillow I need. What should I do? There’s a lot of information here, so if you’re stuck don’t panic! You can leave any questions you have in the comment box below to get in touch with me, and I’ll be able to give you some more personal advice about what to look for in your perfect pillow. Some people argue that you don’t and if you can get it right it’s the best way to sleep. But I just can’t get on board, I like having my head hit the pillow when I go to bed. But for those interested, I did write a full article on sleeping without a pillow. Hi Gail, Sorry to hear that! It sounds horrible, I’d give the Panda pillow a go, it has a lot of support and great for side sleepers, and they’ve got a 30-day trial so if it doesn’t work you can return it. Otherwise, I’d look into a mouth guard as you might be clenching your teeth in your sleep which could give you a headache. I came to your site looking for info to help with shoring problems, but you don’t appear to mention it. Have I missed it? Any thoughts? I go to sleep on my front but turn to snore on my back. Interesting… I actually base my decision on my own opinion of the firmness and the general consensus because I haven’t found a way to officially measure it. So the people I spoke with generally rated it as a firm feel but it’s interesting to hear you found it on the softer side, I’ll have to look into it again! Oh no I’m sorry to hear that! Well if I were you I would go for either the Panda Life pillowif you like memory foam and something a bit firmer, otherwise I’d go for the Hyde and Sleep pillow, it’s a bit softer and better for front sleeping so might be more comfortable to fall asleep on. Well done Jo! We must stop the abuse of poor defenceless birds! Thanks for a great, well-researched article! It helped me to choose a good pillow (the Panda one) and I’ve just ordered it from their website. Looking forward to blissful sleep now! I bought the Snuggledown dude sleeper based on your review and it’s amazing! I have arthritis which affects C4 & C7 and the relief after only 2 nights is unbelievable. It’s less than half price on Amazon at the moment too! Hi I look at your recommendations on most of the pillows but there is no mention about the pillows witch are filled wool ?and if they have eney benefit to give a good night’s sleep. You are absolutely right David! I’ll need to scout some out and update this article thank you very much! I just wanted to share this link which shows live plucking does happen to produce down. I think you’re right not to recommend down or feather products. Down is like an insulating undercoat on all birds (not just young ones) and it is naturally shed. As I understand it, when this is taken from their nests for use in filling pillows, duvets & jackets etc, it is replaced by a man made fibre so the birds do not lose out on their insulating function. However, feathers are very often taken by live-plucking the birds – sometimes up to 4 times a year for the poor things, and so I have to disagree with your comment that down is inhumane but feathers are not. I hadn’t actually considered it that way, I’ll update the article as soon as I can to correct myself.